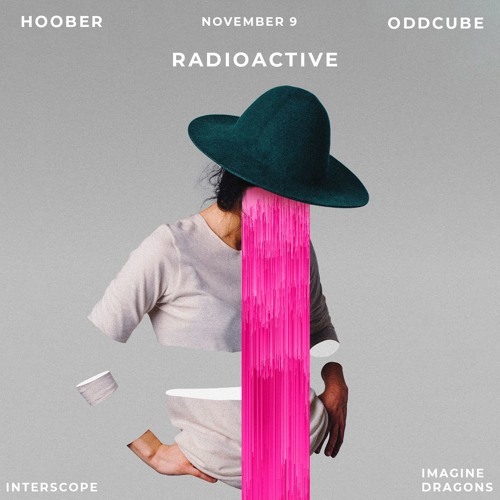 We’d like to welcome back Hoober and Oddcube to our collective. Both of them being freshmans, coming from different genres to the Electronic scene they have been nothing but great! We’ve all been addicted to “Radioactive” by Imagine Dragons at some point in time, it’s one of the most played singles of the year it was released on and for some still a favorite of all time! Hoober and Oddcube took it upon themselves to revive and implement their own unique style in a creative way showcasing their melodic talents and remixing this track to perfection! The haunting sub-bass playing in the background of the intro already introduces us to a certain vibe, a dark and nostalgic one! as soon as the first kick comes in and the tension-building arped pluck starts playing in the background our hearts drop the floor, held by the pressure of the bass and disroted sub-bass paired with the vocals we can’t help ourselves from humming. The drums used in the build up really dont prepare us for the magnificent drop we’re about to hear, truly a blissful exprience, truly the first remix we’ve heard of this song that didn’t dissapoint us in any way,shape or form. The strong and captivating brass, mellow yet vibrating kicks followed by the kid-life vocal chops and detuned resonating haunting lead make this drop one to rememebr! We can not express how excited we were when we first heard this one and it is our honor to release it under our collective and premiere it on Trap Nation! Next Post Husky – sequence by why you delete?